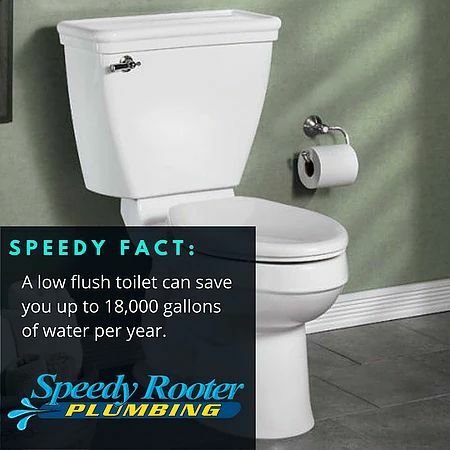 Read great plumbing tips below and check back often for more facts by Speedy Rooter. Click images to make them larger. 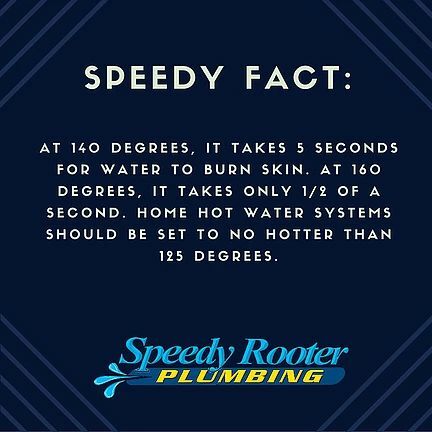 At 140 degrees, it takes 5 seconds for water to burn skin. 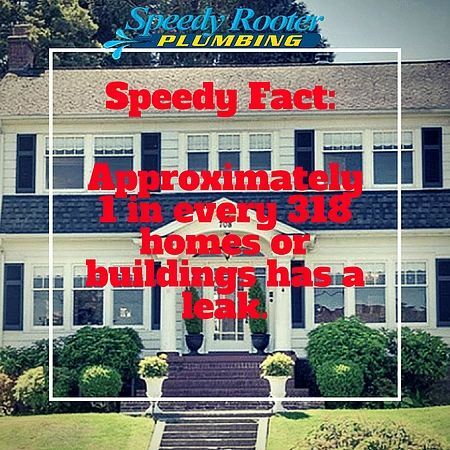 At 160 degrees, it takes only 1⁄2 of a second. 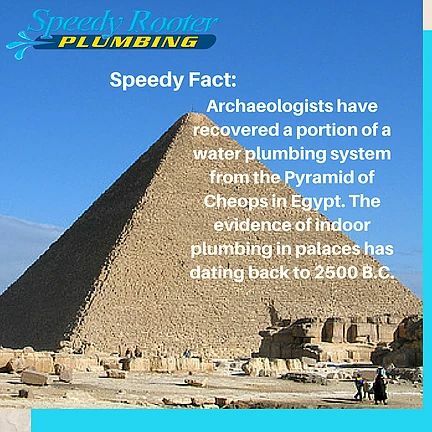 Archaeologists have recovered a portion of a water plumbing system from the Pyramid of Cheops in Egypt. 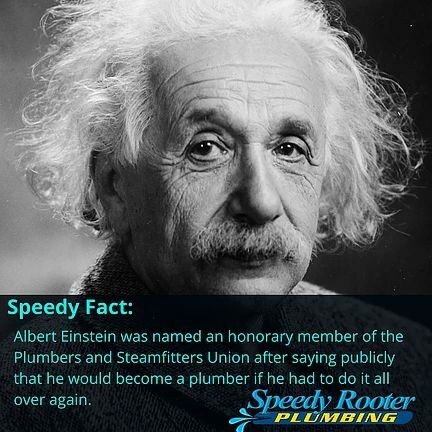 Albert Einstein was named an honorary member of the Plumbers and Steamfitters Union after saying publicly that he would become a plumber if he had to do it all over again. 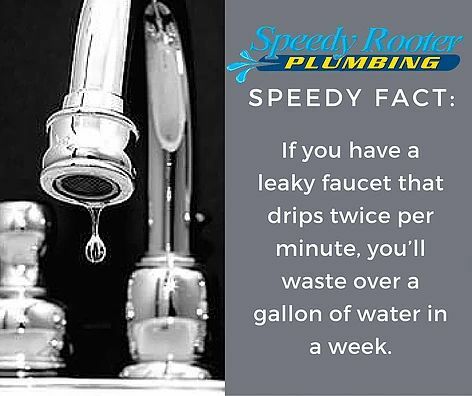 Speedy Fact #1 A leaky faucet that drips twice per minute will waste a gallon of water in one week. 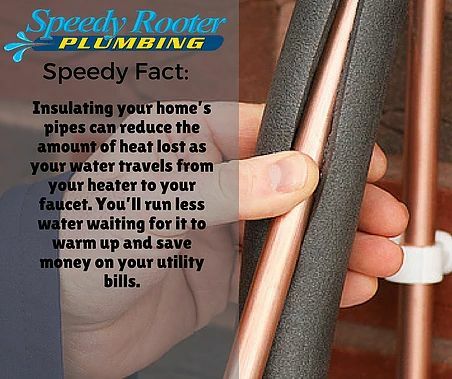 Speedy Fact #2 Insulating your home’s pipes can reduce the amount of heat lost as your water travels from heater to your faucet. 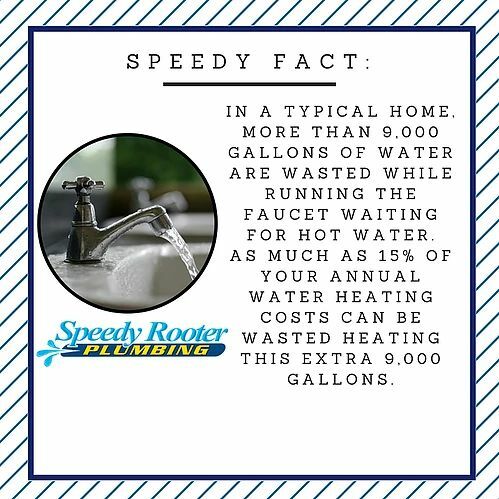 You’ll run less water waiting for it to warm up and save money on utility bills. 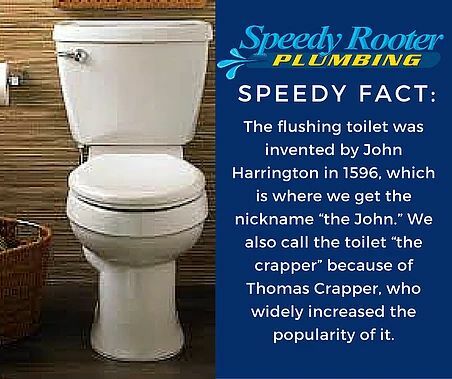 Speedy Fact #3 The flushing toilet was invented by John Harrington in 1596, which is where we get the nickname “the John.” We also call the toilet “the crapper” because of Thomas Crapper, who widely increased the popularity of it. 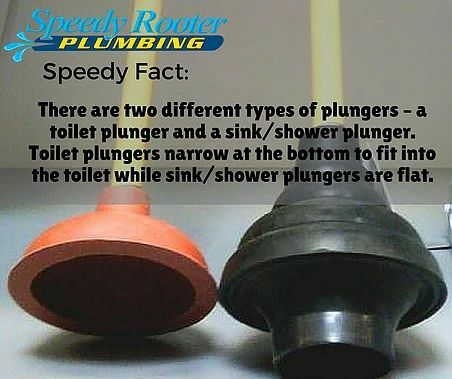 Speedy Fact #4 There are two different types of plungers – a toilet plunger and a sink/shower plunger. 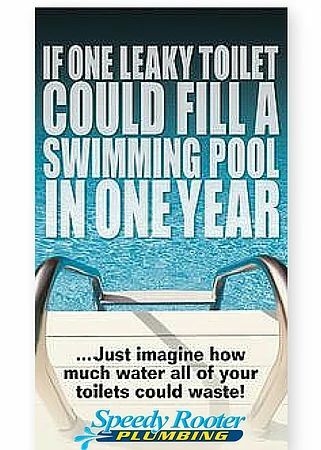 Toilet plungers narrow at the bottom to fit into the toilet while sink/shower plungers are flat. 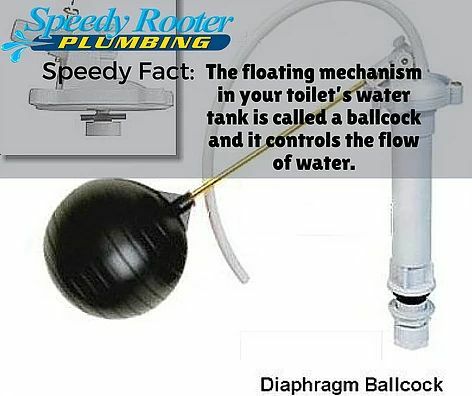 Speedy Fact #5 The floating mechanism in your toilet’s water tank is called a ballcock and it controls the flow of water. 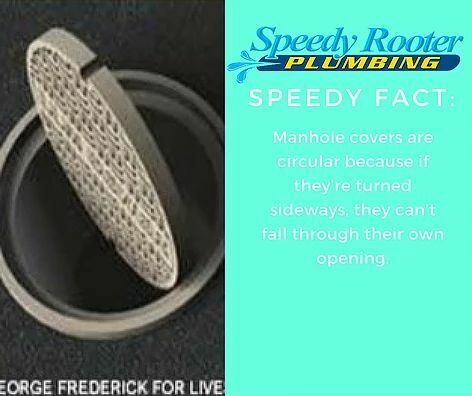 Speedy Fact #6 Manhole covers are circular because if they’re turned sideways, they can’t fall through their own opening. 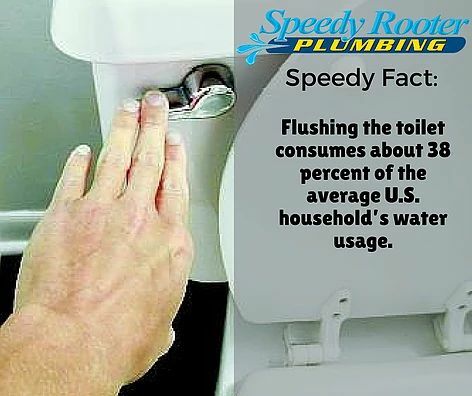 Speedy Fact #7 Flushing the toilet consumes about 38 percent of the average U.S. household’s water usage. 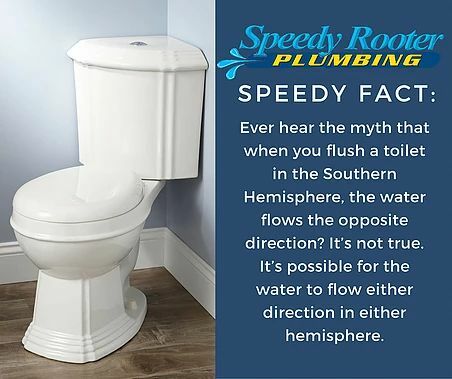 Speedy Fact #8 Ever hear the myth that when you flush a toilet in the Southern Hemisphere, the water flows the opposite direction? It’s not true. 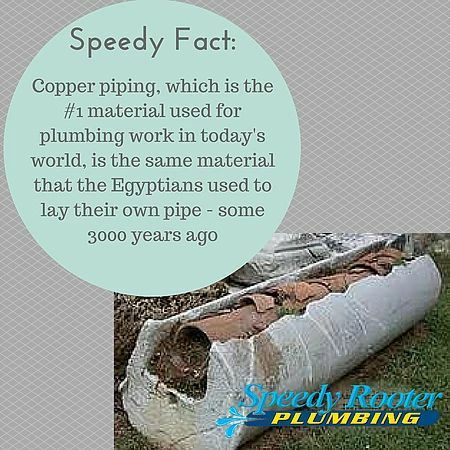 It’s possible for the water to flow either direction in either hemisphere. 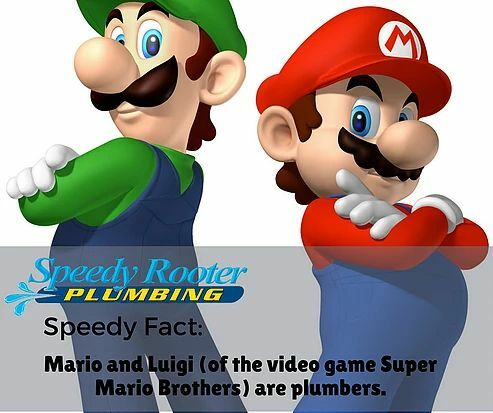 Speedy Fact #9 Mario and Luigi (of the video game Super Mario Brothers) are plumbers. 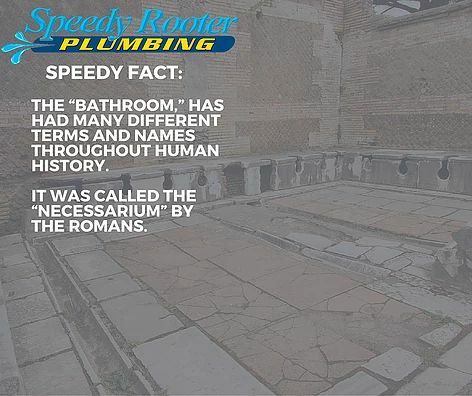 Speedy Fact #10 The “bathroom,” has had many different terms and names throughout human history. It was called the “necessarium” by the Romans.